[S232] Ancestry.com, Ontario, Canada Births, 1869-1909. York 1893. [S232] Ancestry.com, Ontario, Canada Deaths, 1869-1934. York 1918. [S522] Gordon A. Morley and William J. Park, Mount Hermon Cemetery, W20. [S522] Gordon A. Morley and William J. Park, Mount Hermon Cemetery, W16. [S232] Ancestry.com, Ontario, Canada Marriages, 1857-1924. Northumberland and Durham 1900. [S232] Ancestry.com, Ontario, Canada Marriages, 1857-1924. York 1887. [S225] 1911 Canadian Census, Ontario. Ottawa, 34 St. Georges ward page 6. Dr. James Algernon Temple. On December 6, 1931, at his residence, 186 Warren Road, Toronto, James Algernon Temple passed away in his eighty-ninth year after a few hours’ illness. A few years ago Doctor Temple’s sight became seriously impaired, due to an optic atrophy associated with hyperglycemia, and in 1929 he underwent an operation for vesical calculus and prostatic trouble. About the same time he suffered a great sorrow in the death of his beloved and devoted wife which occurred after a prolonged illness. Notwithstanding his physical disabilities, his mental faculties remained clear and active to the last; he was always bright, interested and cheerful, and remarkably so, as he was up and about during the day of his last illness. For over sixty years Doctor Temple was an outstanding figure in the medical life of Toronto and during that time no one attained a higher place in the confidence and esteem of the medical profession. His reputation as a practitioner brought him a very large and influential clientele, and his former students spread his fame as a teacher and surgeon throughout the Province of Ontario and in more distant parts where ' they settled. He had retired from active practice some fifteen years ago but never lost interest in his profession or its affairs. 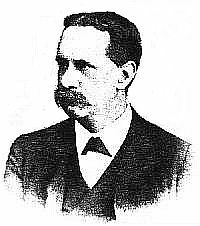 Doctor Temple was born on August 6, 1843, the fifth son of the late Major Henry Temple, of His Majesty’s 15th Regiment, and Maria T., daughter of the late Hon. Jonathan Sewell, Chief Justice of Lower Canada. He received his early education in the High School and Laval University in Quebec, entered McGill University as a student in Medicine in 1862, and graduated in 1865, receiving the degree M.D., C.M. He continued his medical studies in England, qualifying as a member of the Royal College of Surgeons in 1865, and was elected a Fellow of the Obstetrical Society of London in 1872. After completing his studies in England he served for four years as Medical Officer in Her Majesty’s Civil Service in India. In 1869 he married Alice Erie, daughter of the Rev. W. H. Heu de Bourck, of Taunton, England, settled in Toronto, and entered upon private practice in association with the late Dr. Edward M. Hodder, Dean of the Faculty and Professor of Obstetrics in Trinity Medical College. He soon attained a place in the first rank among the medical practitioners of Toronto and after Professor Hodder’s death in 1878 succeeded him in the chair of Obstetrics and Gynaecology in Trinity University and as Gynaecologist on the staff of the Toronto General Hospital. As a lecturer and clinician, his thorough knowledge of his subject, his intense earnestness, his capacity for eloquent, clear, forceful exposition, his apt illustrations derived from a wide and varied practical experience, all deeply impressed the students who thronged his classes, so that his reputation and influence as a lecturer spread far beyond the limits of the wards and classroom. He was a pioneer in abdominal surgery in Toronto, in which he established a wide reputation for skill and resourcefulness, though always tempered by a wise conservatism. Dignified and courteous in bearing, Doctor Temple was respected and esteemed by his confréres and students as a high-minded and honourable man, and by the public as a worthy representative of the physician of the old school, who loved his profession, maintained its highest ethical standards, and devoted himself faithfully to the service of his patients and the community. The esteem and confidence in which he was held both personally and professionally is shown by the many positions he attained and the honours he received at the hands of his confreres. As dean of the Trinity Medical faculty, in succession to the late Walter B. Geikie, he took an active part in bringing about the union of the medical colleges in Toronto in 1901, and on its consummation he became Professor of Obstetrics and Gynaecology in the Medical Faculty of the University, holding the appointment until his resignation in 1910. In recognition of his services to the University and his eminent professional attainments he received the honourary degree of LL.D., in 1905. 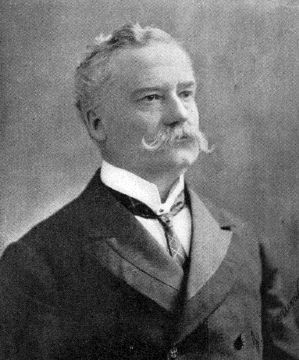 In addition to his university and hospital appointments, Doctor Temple was president of the Ontario Medical Association (1889-90), and first president of the Toronto Clinical Society, in 1892. He was also a member of the Council of the College of Physicians and Surgeons of Ontario from 1902 to 1906, a member of the Executive of the Victorian Order of Nurses, and one of the original Fellows of the Academy of Medicine. Masonry was his chief interest outside his profession. He was a Past Master of Ionic Lodge of Toronto. During the past winter he occupied the Master’s chair at s special meeting. Doctor Temple is survived by seven children: Dr. Charles Temple, of Toronto; B.H.M. Temple, K.C., General Solicitor of the Canadian National Railways, Montreal; Gordon C. Temple, of Orillia; Mrs. Carter Troop, of Toronto; Mrs. Selby Martin, of Toronto; Mrs. W.F.V. Atkinson, of Quebec, and Mrs. J.N.B. Colley, of Toronto. At a meeting of the Board of Governors of the University of Toronto, on December 10, 1931, it was resolved, "that the Board, having learned with deep regret of the death of Dr. James Algernon Temple, Professor and Head of the Department of Obstetrics and Gynaecology from 1901 to 1910, and sometime member of the Senate, desires to place on record an expression of its appreciation of the distinguished services he rendered the University, and to convey to the members of his family its deepest sympathy with them in their bereavement." The Board directed that this resolution should be placed on its minutes as a permanent record of its recognition of Dr. Temple’s worth as a citizen, of his eminence as a medical practitioner, and of his valuable services in the sphere of medical education, and that a copy should be engrossed and forwarded to the members of his family. H.B. Anderson, The Canadian Medical Association Journal, February 1932 p. 258. [S232] Ancestry.com, Ontario, Canada Deaths, 1869-1934. York 1931. [S232] Ancestry.com, UK Incoming Passenger Lists, 1878-1960. Glasgow, Scotland, 1933 July Letitia. [S232] Ancestry.com, Ontario, Canada Births, 1869-1909. York, 1897. [S460] MI, "St. James' Cemetery, Toronto." [S232] Ancestry.com, Ontario, Canada Marriages, 1857-1924. York 1903. [S232] Ancestry.com, Ontario, Canada Marriages, 1857-1924. York 1896. [S232] Ancestry.com, Quebec Vital and Church Records (Drouin Collection), 1621-1967. (Québec (Anglican Cathedral Holy Trinity church)), 1878. [S463] 1891 Canadian Census , Toronto City, St Patricks Ward. [S232] Ancestry.com, Ontario, Canada Deaths, 1869-1934. Grey 1931. [S522] Gordon A. Morley and William J. Park, Mount Hermon Cemetery, W22. Reginald Herbert Montague Temple Q.C. [S232] Ancestry.com, Ontario, Canada Births, 1869-1909. York 1876. [S117] The Times Newspaper, Aug 08, 1910. Robert Handcock Temple was born on 16 February 1841 in Québec.2 He was the son of Capt. William Henry Temple and Maria May Livingston Sewell.1 Robert Handcock Temple was baptised on 12 May 1841 at Chapel of the Holy Trinity, Québec.3 He married Rose Heudebourck, daughter of Rev. William Harvey Heudebourck and Sarah Robson, on 29 June 1865 in Québec.4 Robert Handcock Temple died on 20 January 1920 in Toronto at the age of 78.2 He was buried in Mt. Pleasant Cemetery, Toronto. [S232] Ancestry.com, Ontario, Canada Deaths, 1869-1934. York 1920. [S232] Ancestry.com, Quebec Vital and Church Records (Drouin Collection), 1621-1967. (Québec (Anglican Cathedral Holy Trinity church)), 1841. [S232] Ancestry.com, Ontario, Canada Births, 1869-1909. York 1870. [S232] Ancestry.com, Quebec Vital and Church Records (Drouin Collection), 1621-1967. Québec (Congregational) (Québec (Congregational Societes)), 1870.